FAM-4: FAM-4 was awarded to Florida West Indies Airways. 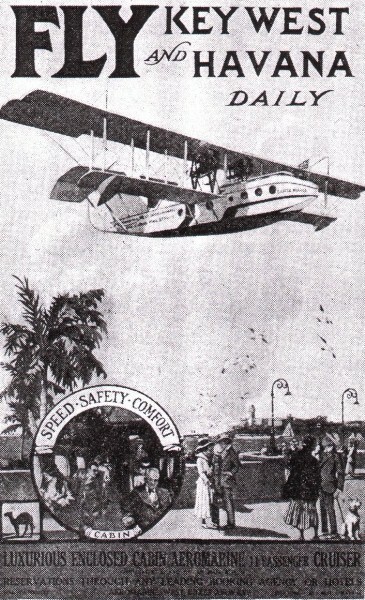 Aeromarine Sightseeing and Navigation Company (subsidiary of Aeromarine Plane and Motor Company) and Florida West Indies Airways merged on October 1920. Florida West Indies had been awarded FAM-4 but lacked the planes to operate the contract. The merged company called Aeromarine West Indies Airways began the first scheduled international passenger and air mail service in the US on November 1, 1920 operating daily flights between Key West FL and Havana Cuba. The aircraft used were converted US Navy Curtiss F5L flying boats (Santa Maria and Pinta). They had been modified for civilian usage and renamed Model 75s by the Aeromarine Plane and Motor Company of Keyport NJ. The Aeromarine flying boats were advertised as being the height of safety because they carried their landing field with them and were operated by skilled ex-Navy pilots. On June 2, 1927 Juan Trippe formed an airline, "Aviation Corporation of America" with two allies. Sonny Whitney and John Hambleton were directors and Juan Trippe was in charge of operations. In order to procure a route to Cuba, the airline merged with two others to form Pan American Airways. Trippe became president and general manager. Through his connections he obtained the follow-on FAM contract from the federal government to fly mail from Key West to Camp Colombia, Havana Cuba. Trippe had bought two Fokker planes and had a ground crew preparing an airport at Meacham Field in Key West FL. He had a deadline with the government to begin the service. Although two runways had been completed, heavy rain had been falling for two days and the airport became a swamp. To meet his contractual deadline, Trippe decided to charter a seaplane to make the flight. 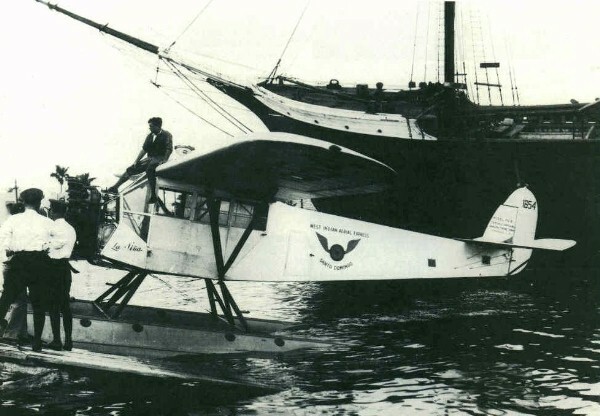 He talked pilot Cy Caldwell into making the flight with "La Nina" a Fairchild FC-2 floatplane that Cy was flying for the West Indian Aerial Express. 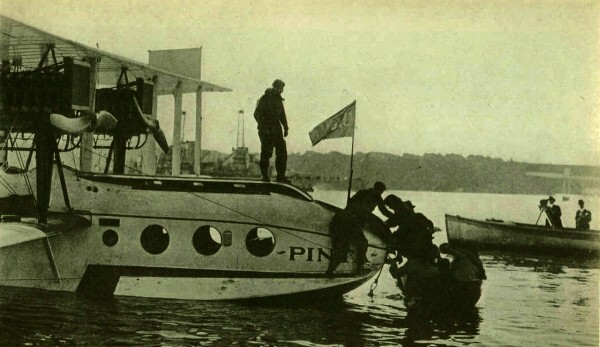 On October 19, 1927 La Niña, piloted by Cy Caldwell and chartered by Trippe, took off from Key West landing at Camp Colombia, Havana Cuba 1H 20M later. Cy took his place in history making the first ever flight of Pan American Airways. On September 15, 1928 the Pan American Airways terminal at Miami FL was opened and all subsequent flights were flown from Miami rather than Key West FL.